Building without complications and burdening the environment – not just possible with bridge projects. 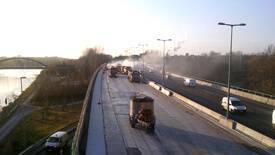 As part of the Wiebe Group, we handle a wide range of infrastructural tasks throughout Germany. 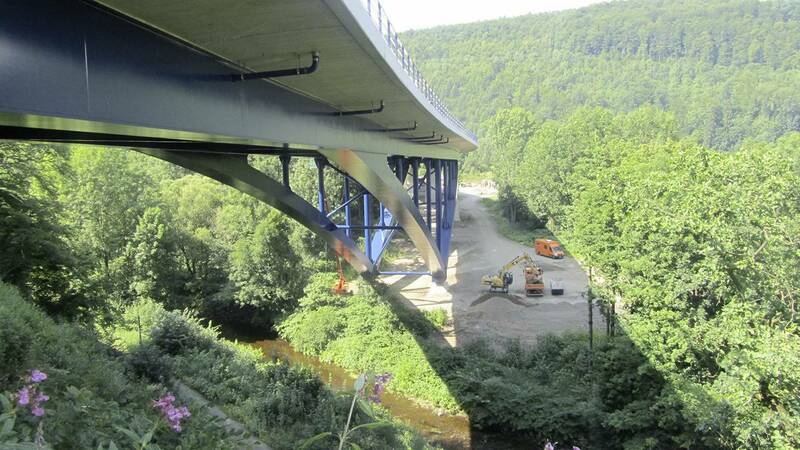 We are the competent partner you need for your construction projects – be it small restoration measures or a bridge project known throughout Germany. Expertise in project management and technical know-how always characterize our way of working. Be it civil engineering, structural engineering or underground work – the company Sächsische Bau GmbH is the partner at your side. Since our foundation in 1991 we at Sächsischen Bau GmbH have continuously developed. We have moved on from our humble beginnings with a team of 9 employees and the construction of a supporting wall into a company with a workforce of 350 that complete a variety of projects throughout Germany. 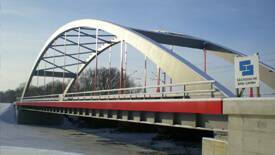 As part of the Wiebe Group we can make the most of our competence in the construction of bridges and special civil engineering. We are also specialists in the fields of track construction and construction engineering, waterproofing of buildings, corrosion protection and building restoration which allows us to meet the changing needs and challenges of the market. Sächsische Bau GmbH – at home in the east, servicing all Germany. Path on path: A supporting wall next to the hiking path along the Plöner Lake allows the construction of a central platform. Building in Berlin: The bridge across the Tegeler path was repaired to expand the Berlin urban motorway A100. 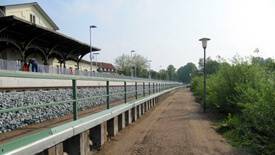 Two and eight: Eight new railway crossings were built between Dessau and Roßlau on a stretch of two kilometres. 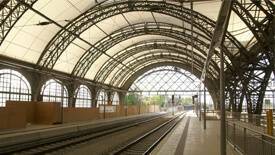 Old in new: The supporting structures of the southern hall of the Dresden main station were rebuilt during a facelift project.